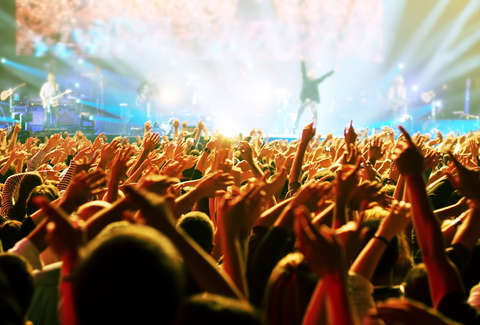 Anyone who's tried to snag tickets to a hot concert is well aware of how cutthroat the competition can be to secure seats the second they go on sale. Otherwise, you have to hit the resale market, where prices can quickly skyrocket well beyond face value and into "refinance my house" territory. Though when it comes to second-hand tickets, it can be much cheaper to score them in certain cities, according to a glut of helpful new data from SeatGeek. To help sort out which US cities are the most and least affordable for concertgoers, SeatGeek culled a bunch of its ticket sales stats and arranged them all in an easily digestible new interactive map. To figure things out, they crunched the numbers on the average resale price for tickets in the country's 50 largest metro areas, and ranked them from most to least expensive. According to SeatGeek, the most expensive place to see a concert in 2019 is Las Vegas, where the average ticket price stands at an eye-popping $206. You can expect to pay $167 in San Jose and $166 in Miami, which came in second and third place, respectively. Meanwhile, the most affordable tickets are available to fans in Norfolk, Virginia, where the average price is $85. You can also get relatively good deals in Richmond, Virginia ($90) and Indianapolis ($99), which earned the distinction as second and third-cheapest concert ticket cities, respectively. Here's how the full ranking of all 50 metro areas panned out. In addition to figuring out where you're most likely to get the best deal on tickets, the SeatGeek team also looked at what the most expensive concert has been in each city in recent memory. Specifically, they looked at which band or artist fetched the highest average ticket price in each of the top 50 cities since 2010.